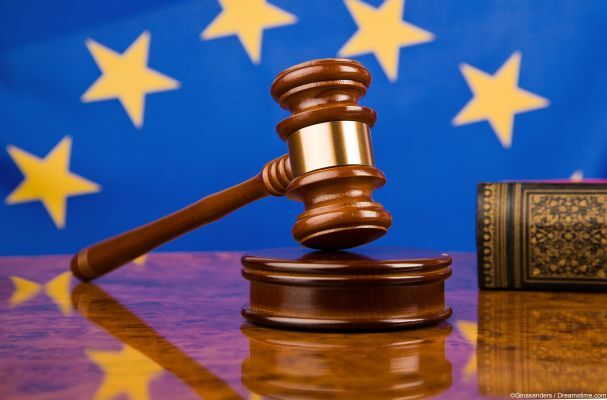 A court case which reached the European Court of Justice (ECJ) has backfired on the German Pirate Party after the ECJ ruled that open Wi-Fi hotspots should be password protected and users should have to reveal their identity. The ruling stemmed from a case brought by Tobias McFadden, who owns a lighting and sound system business in Germany which offers free Wi-Fi to its customers. He was chased for compensation by Sony Music after an incident in 2010 when someone used his Wi-Fi to illegally download one of their songs. The German courts awarded Sony an injunction requiring McFadden to pay costs to them. The reasoning behind this initial judgement was one of ‘Störerhaftung’ which translated as ‘secondary liability or duty of care. The German Attorney general disagreed and his advice was that McFadden was essentially acting as an ISP. This means that he is protected from liability for what people use his network for under Article 12 of the E-Commerce Directive. Supported by now by the Pirate Party, the McFadden case made it all the way to the ECJ, whose rulings are final and not appealable. Their findings agreed broadly with this argument. They agreed that McFadden met all the conditions to be classified as an ISP. All fine and dandy so far. But the judgement didn’t end there and what came next angered both the Pirate Party and those who support open and free internet access. They went on to state that requiring such public Wi-Fi networks “to be secured by means of a password” and for users of that network to have to identify themselves before using it would be a proportionate deterrence to copyright infringement. Needless to say, the German Pirate Party are far from happy at how their case has backfired so spectacularly, admitting themselves that it was a “complete disaster”. “This jurisprudence is backward and a technophobic bowing before the content industry,” was the response of Pirate Party’s data protection expert Patrick Breyer. “Following its logic, using public telephone booths and letterboxes should require identification too. He also argued that even if all users did have to register, it would still be impossible to identify which users had downloaded something illegally on a public connection. The ruling could have much broader consequences as well. Should copyright holders look to enforce the ruling, it could lead to a large number of open Wi-Fi networks disappearing. Given that such networks play a part not only in allowing people to access a free and open internet but also provide valuable services at times of emergency or natural disaster, these consequences could be severe. So what is likely to happen from here? Well, although the ruling is not appealable, the ECJ does contradict itself on a fairly regular basis. Should a similar case get that far, there is every reason to think that the court might role-back this groundbreaking and troubling decision. But the time being at least, it seems that open and importantly anonymous access to the internet is going to get harder and harder for people to achieve. Good news for the VPN providers who can offer it; bad news for those of the public who are not yet familiar with the benefits a VPN can bring them, especially on open public Wi-Fi networks.